The news channel has been asked to apologise for a programme they aired in 2016 wherein they referred to Raza and other poets as members of the ‘Afzal Premi Gang’. New Delhi: The News Broadcasting Standards Authority (NBSA) on February 10 again ruled in favour of scientist and Urdu poet Gauhar Raza in his complaint against Zee News for calling him a member of the ‘Afzal Premi Gang’, asking the channel to display an apology on February 16, 2018, at 9 pm. The channel has also been asked to deposit Rs 1 lakh in seven days. This is the highest punishment the NBSA can give to a channel. Zee News, which had earlier been asked to tender a public apology, had appealed against it. The NBSA however rejected its appeal last Saturday. Raza had jointly filed a complaint with other well known personalities like Ashok Vajpeyi, Sharmila Tagore, Shubha Mudgal and Syeda Hameed. Lawyer Vrinda Grover represented the case before the NBSA. 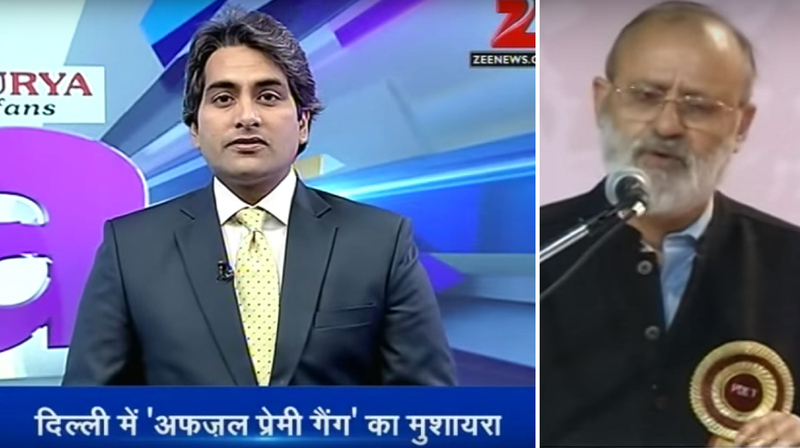 Between March 9 and March 12, 2016, Zee News had telecast programmes titled ‘Afzal Premi Gang ka Mushaira’ and ‘Poetry Night on the Love for Afzal Guru Gang’. The programme had showed Raza reciting three of his poems at the 51st annual Shankar Shad Mushaira, a platform for Urdu poets from India and Pakistan. Raza’s poems were about theatre activist Safdar Hashmi and the murder of two journalists in Iraq in 2010. “Zee News” regrets the taglines used and views expressed during the broadcast of the programme/news report under the caption “Afzal Premi Gang ka Mushaira” on 9.3.2016 to 12.3.2016, reporting upon the poetry recital by Prof. Gauhar Raza on 5.3.2016 at the annual Shankar Shah (Indo-Pak) mushaira at New Delhi. 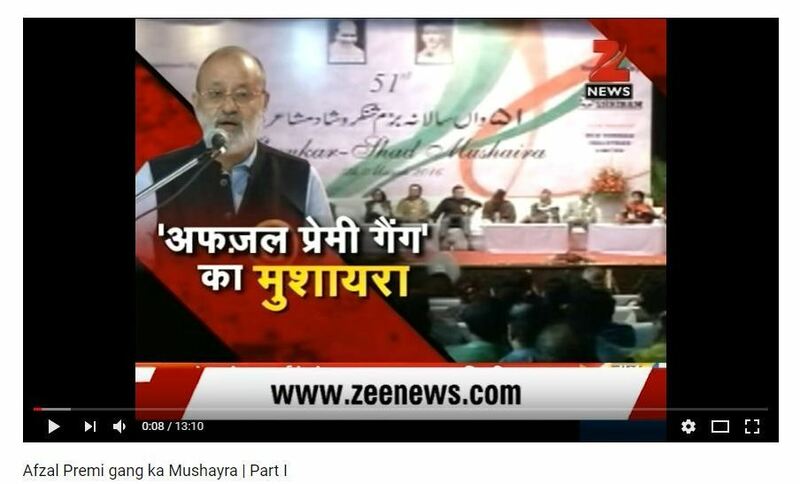 Zee News also regrets the description of Prof. Gauhar Raza and the attendees/participants at the event as “Afzal Premi Gang”. Raza, in an interview to The Wire at the time, accused the channel of spreading hatred in the society in the name of ‘nationalism’ and violating journalistic norms.